Sixt car hire Glasgow is here to help you make the most of your time in Scotland's largest city. You will be able to find our car rental stations at Glasgow Airport and directly in the city centre meaning that you can be on the road quickly and easily. We ensure that whether you are arriving by plane, coach or train, one of our numerous Glasgow car hire branches will be close at hand. You can use our simple online reservation engine to book ahead of time and find yourself one of our best deals! Explore what fantastic rental deals and vehicles are available to you in Glasgow by browsing this page as well as our branch pages. Grab yourself a bargain with our range of special offers and discount vouchers, and drive around Glasgow with ease in your top quality car hire. With a number of Sixt branches located throughout the city, picking up and dropping off your car hire couldn't be more simple or convenient. Glasgow Airport Location: Collect your car hire as soon as you step off the plane from our Glasgow Airport branch. Train Station Branches: Our branches at Glasgow's two main train stations, Glasgow Central and Queen Street, make it easy to start driving as soon as you arrive in the city. At Sixt in Glasgow we have a wide range of vehicles to suit all different needs and requirements, whether you are visiting Glasgow for business or pleasure or are looking for a replacement vehicle to tide you over after a breakdown. Vehicle fleet: Browse our full Vehicle Fleet Guide to see the wide range of vehicles that we have on offer in Glasgow, and see which option best suits you. Car hire: Use our Car Hire Categories Breakdown to select which vehicle type best suits you. These range from economy car hire to supercar hire, and you can also choose a 4x4 hire or automatic rental for your optimum comfort. 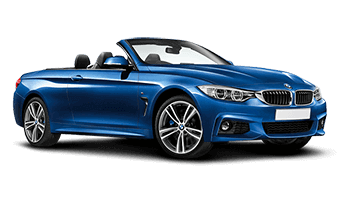 Luxury hire: For those times when you really want to impress, opt for a luxury car hire and travel around Glasgow in total style in a premium sports car, convertible, saloon or sports car from the likes of Mercedes-Benz, BMW, Jaguar and Audi. 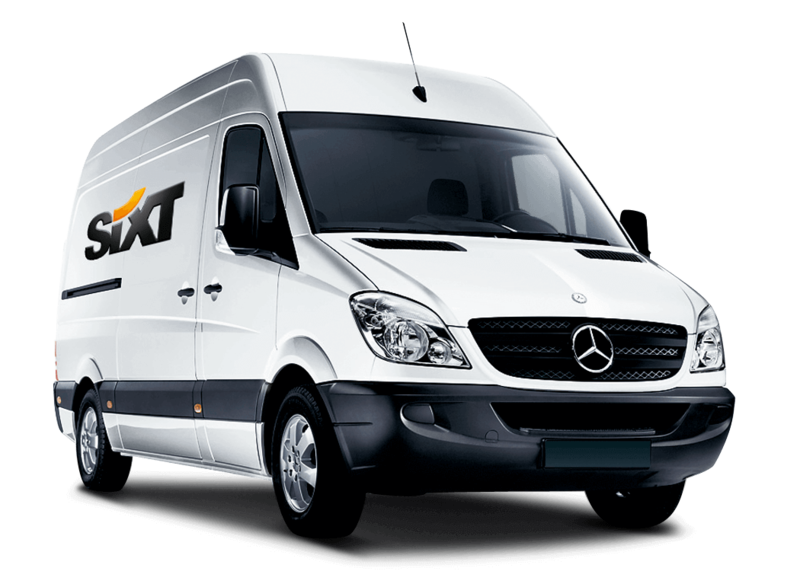 Van hire: Moving house in Glasgow is made easy with the great deals on Sixt van hire. 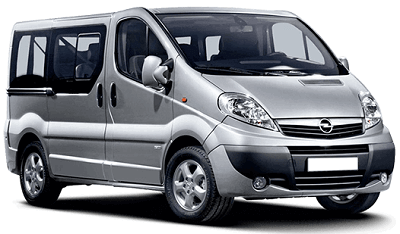 Minibus Hire: Travel as a large group in Glasgow with a self-drive minibus hire. Vehicle information: If there is anything else you would like to know about our fleet, take an in-depth look at Sixt's vehicle brands and models. Customise your rental deal by selecting from a range of additional upgrades and make your drive in Glasgow go as smooth as possible. Physical Add-ons: Extras such as a baby/child seat, Sat Nav system and winter tyres will ensure that you are fully prepared for your trip no matter what your requirements are. Flexible Rental Terms: Tailor your rental deal to suit your individual needs with unlimited miles, extended insurance packages or by adding on a second driver. Delivery and Collection Service: Save time with our delivery and collection service and get your hire vehicle delivered and picked up from your doorstep at home, work or wherever you plan to be. Moving Services: Sixt makes moving home as simple as possible with our useful moving package containing useful utensils such as boxes, straps, furniture covers and sack barrows. Replacement Car Hire Service: Our replacement car hire will get you back on the road in no time after an unfortunate accident or breakdown. Quick and Easy Customer Service: Download the Sixt App for booking and reservation management on the go. Take advantage of our Sixt Cards for a superior vehicle hire experience and access to exclusive discounts. Use our innovative check-in options for a hassle-free booking and collection process in Glasgow. Save money with Sixt and take advantage of our range of Special Offers and Discount Vouchers. Kelvingrove Art Gallery & Museum: Set within a stunning park, you will find artefacts and works of art from all over the world here, while the building is impressive in itself! The Botanic Gardens: This 27 acre park features acclaimed formal gardens, woodland and a Victorian cast iron greenhouse. The Lighthouse: This building designed by the famed Scottish architect Charles Rennie Mackintosh is Scotland's centre for design and architecture, offering exhibitions as well as fantastic views across the city. The West End: A short drive from the city centre, this hip area is known for its assortment of vintage shops, record stores and independent boutiques, as well as a host of quirky cafes, trendy bars and restaurants. The Style Mile: This Z shaped route going from Sauchiehall Street to Argyle Street is named the style mile as it contains hundreds of shops, from high street to high end, and is known as the UK's best shopping destination after London. M&D's: This massive theme park is located only a 20 minute car ride from the city centre and makes for a fun filled family day out. Tron Theatre: This multi-faceted venue showcases a range of theatre, comedy and music from Scotland and beyond. Food and Drink: The city offers so much great dining options, from quality international cuisine to traditional Scottish delicacies such as haggis and even the infamous deep fried mars bar! After checking out all that Glasgow has to offer, why not explore further afield in your car hire? Take a 30 minute drive to Loch Lomond - the gateway to the Highlands, and take in the stunning scenery. Located only a short drive away, the seaside towns of Largs and Ayr also make for a great day out. You will not get bored with the endless opportunities a car rental will provide for you in Glasgow!